A well-implemented CRM system and a top-quality contact database can take your email marketing campaign to levels you never imagined possible before. But you first have to take careful note of the terms “well-implemented” and “top-quality” and think about what these mean for your project. This post focuses on the CRM aspect of this tandem and provides some key insights on how you can optimize your CRM system for your email campaign. 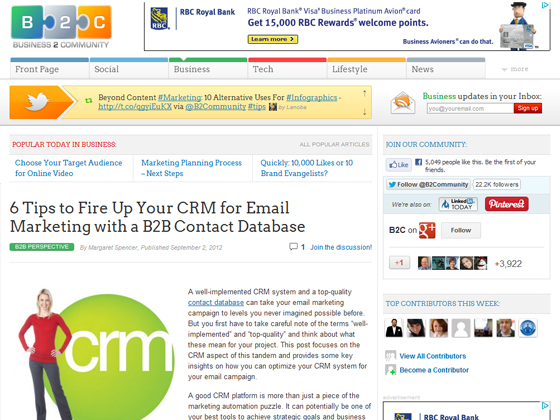 A good CRM platform is more than just a piece of the marketing automation puzzle. It can potentially be one of your best tools to achieve strategic goals and business growth. But let’s not get ahead of ourselves and shoot for the stars just yet. Let’s begin our CRM journey with a logical place to start – the email campaign. 1. Work with clean lists only. This is an absolute rule without exception. Regardless of whether you’ve developed your contact databases organically or with the help of a reputable opt-in mail list provider, you have to make sure that the lists and the data they contain are accurate, active, and analyzable. The last thing you want is to feed dirty databases to your CRM system and give it a bad case of indigestion. 2. Ensure compatibility with email platform. 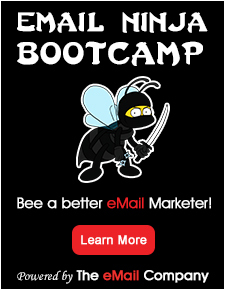 The CRM system you’re using should easily be integrated with your email marketing software. This means requiring very little in the way of infrastructure modification as well as preparation for internal processes and people. If you’re not quite sure how compatible your platforms are, your best bet is to seek the advice of CRM and email marketing experts. Your CRM system should be able to capture and monitor actions, responses, behaviors, preferences, etc. related to your email readers. This means you need to store and process information such as links followed, topics responded to, calls-to-action taken, unsubscribe actions, passivity/activity to certain messages, and so on that can be attributed to your email recipients.